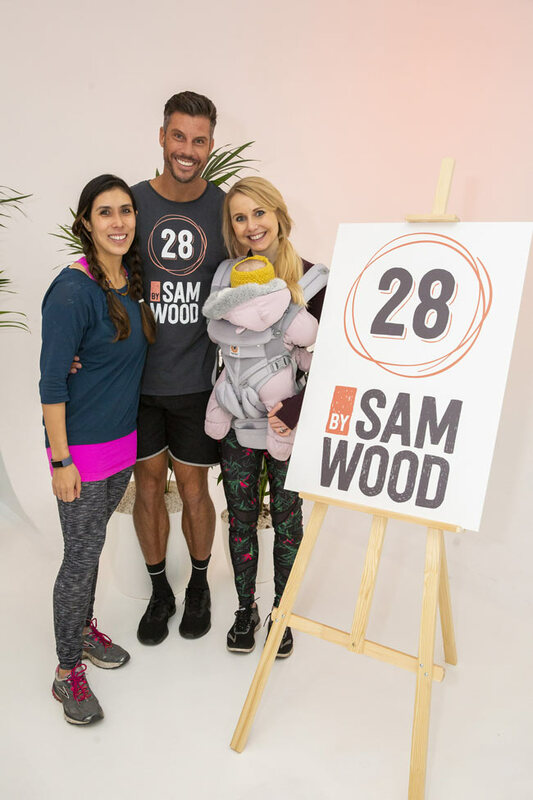 On Wednesday morning, 23rd January, we were excited to be invited to the UK launch of ‘28 by Sam Wood’, a 28 minute workout and wellbeing programme designed and run by Australian personal trainer of 17 years (and star of the Australian reality TV show ‘The Bachelor’! ), Sam Wood. As a new mum, fitting in a workout isn’t always easy. Nor is getting out of the house before 7:30am. So it was with a certain degree of trepidation that I set my alarm on Tuesday night in anticipation of the 8:30am launch the following day. As it was, all of the night feeds aligned in my favour and, fuelled by espresso, I raced my five-month-old out into the freezing morning and through rush hour traffic to arrive ahead of time for my workout with Sam. Sam and his team were incredibly welcoming and looked after us so well. Sam was such a genuine and enthusiastic guy, who clearly believes in the philosophy and efficacy of his 28 programme. He went above and beyond during the workout, holding my daughter, Florence, when she started fussing towards the end so that I could finish the routine, and he even disposed of a dirty nappy for me! The 28 programme offers a range of exercise combinations depending on your fitness level, and there are also options available for those who are pregnant or postpartum. For the launch event, Sam mixed up the workout to accommodate the range of abilities in the room, demonstrating the variations for the different levels, but once you have the 28 app you can enjoy a programme tailored to you. The exercises in the app are designed to be performed anywhere at any time and require little or no equipment. For our routine we did a series of plank combinations, press-ups, jumping squats, forward and reverse lunges, v-sits and bridges. We did use an exercise band to add resistance to some of the moves, but really all you needed was an exercise/yoga mat. Sam was the perfect baby-sitter! Doing the full 28 minutes with Florence in tow proved to me that she isn’t an excuse to skip a workout. She was as good as gold, laying on my mat as I did press-ups and planks over her, and acting as that extra bit of motivation to keep smiling and not to collapse! She isn’t always so accommodating when I put her down on my workout mat so I was pleasantly surprised how well she behaved, although I suspect the loud music, flashing camera lights and cuddles with Sam had something to do with it! 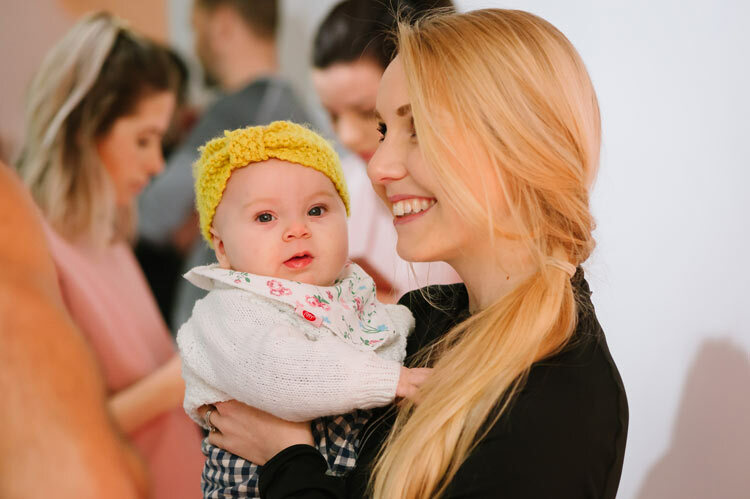 I wasn’t let totally off the hook however, as I was forced to change a nappy mid-routine and breastfeed at the end – a true postpartum workout! The 28 app also includes a healthy eating plan from ‘I Quit Sugar’ author, Sarah Wilson. New recipes are sent to you each week and there are vegetarian and gluten free options available, many of which can also be adapted for a vegan diet. We enjoyed some of the delicious breakfast dishes from the 28 menu after our workout – I had a sweet and salty granola with coconut yogurt and blueberries, crushed avocado on sourdough toast and a carrot, orange and ginger juice. In addition to the workout and menu, the 28 programme offers a 24/7 motivational support system, with real-time guidance, tip and videos from Sam and his team to help to keep you on track. With proven results from his extant followers, (numbering over 100,000 and with a combined weight loss of 32,000 stone!) ‘28 by Sam Wood’ is an accessible fitness option for those of us who are time poor and may need that extra motivational push to help us reach our fitness and weight loss goals. The app costs £28 per month, which is less than many gym memberships, and as such may offer a good alternative option if you know that getting to the gym isn’t your strong point. If the idea of a subscription intimidates you, you can always sample Sam’s style through either his 2017 book ‘28’, or his ‘7 Minutes to Better Health’, released last year. We were given ‘7 Minutes’ as part of the launch event and it contains 30 breakfast smoothie recipes, 30 salad recipes and 30 workouts many of which I have already earmarked to try out. 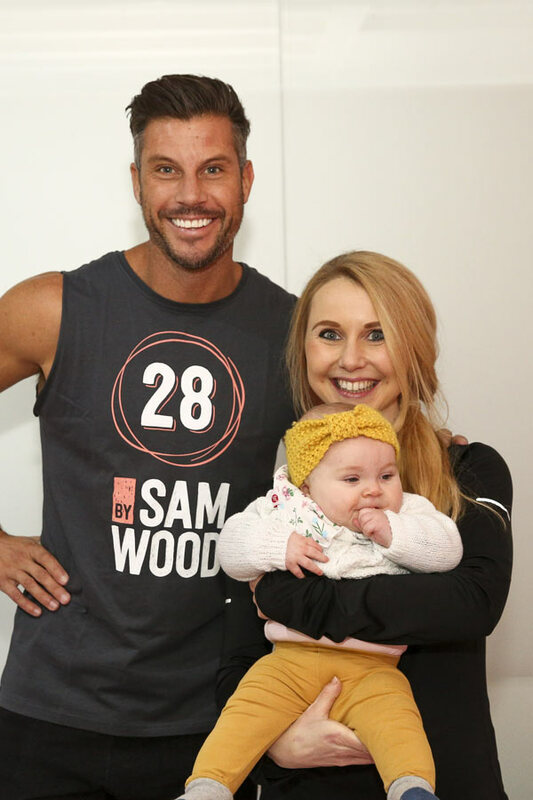 I really like Sam’s straightforward approach to health, nutrition and exercise and I will certainly be using a combination of his exercises and recipes as part of my postpartum fitness regime. Who is it for: 28 is for anyone who enjoys home workouts but is looking for that bit of extra support in reaching their goals; Sam’s biggest audience is within the female 28-50 age group, but this is by no means exclusive to this group.